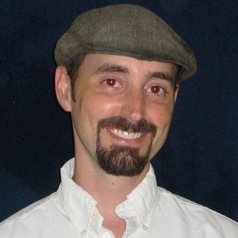 Ellis Jones received his Ph.D. in sociology from the University of Colorado, Boulder. As a public sociologist, he is committed to reaching out to a variety of publics as a part of his academic work. He has spoken across North America at colleges, universities, religious groups, sustainability symposiums and global citizenship summits. He has been interviewed for radio and television in both the US and Canada and was featured in the documentary film "50 Ways To Save The Planet." To complement a background in international relations and international peace studies, he has lived, studied and worked for a number of years in parts of Europe, Asia and Central America. His early work investigated the myriad ways individuals can actively contribute to the resolution of global social and environmental problems, culminating in the release of The Better World Handbook (2nd Ed 2007). A more concise version of this work tailored for sociology students appears as a chapter entitled "Creating a More Just & Sustainable World" in Sociological Odyssey: Contemporary Readings in Introductory Sociology (2010). His most recent work focuses on understanding the role of the ethical consumer in influencing companies to evolve in more socially and environmentally sustainable directions. This research has led to the publication of The Better World Shopping Guide (6th Ed 2017). Dr. Jones is currently an Assistant Professor of Sociology at College of the Holy Cross in Worcester, MA.